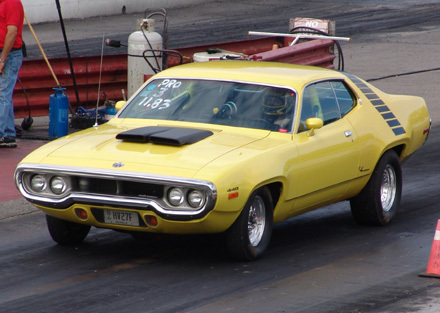 Our 1972 Lemon Twist Yellow Plymouth Road Runner. 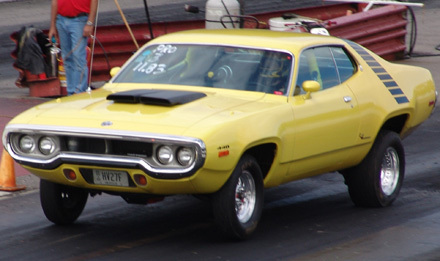 Picture taken at the 2006 Edgewater Chrysler Classic. My son Andy is driving the car.